Dar Al-Handasah is a leading multidisciplinary consulting firm providing engineering, planning, management, and consultancy for the world’s most important and vital projects. Constantly ranked in the top 10 international design firms by Engineering News-Record (ENR), Dar embraces challenges to empower our communities. In suburbs and city centers, deserts and metropolitan areas, war zones and sacred shrines, our projects shape our people’s lives. Dar has provided consultancy services to more than 950 clients in 60 countries, and has handled projects involving a total investment cost of over US$ 300 billion. Through these projects, we participate actively in the development of our societies. With a permanent staff of 9,850 and over 4,000 successfully completed projects, DAR has in-house expertise and experience to cover a wide range of engineering fields. Founder of the multinational Dar Group of consulting firms (www.dargroup.com), with a workforce of 18,600, where all members can draw upon the resources and experience of the entire group. Dar is locally-registered in Iraq with two branch offices across the country -Baghdad and Erbil- to facilitate the provision of engineering, construction supervision and project management services in all the sectors of economic growth and development in Iraq. By combining our understanding of the local context with our global expertise, we provide solutions for our communities that are enduring and contextual. We have successfully completed over 80 projects in Iraq inclusive of the Kurdistan Region. 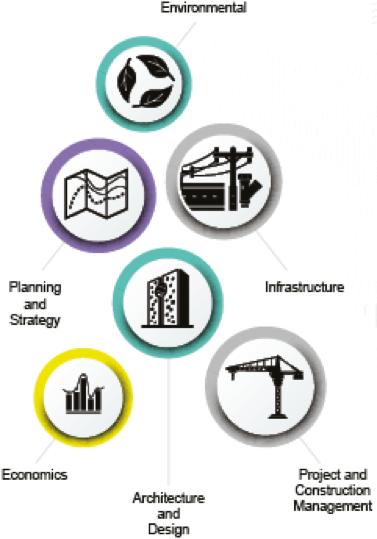 Many of these projects are considered strategic and have contributed to the development of Iraq and the Kurdistan Region of Iraq: Iraq Irrigation Sector Study; Iraq Transport Sector Master Plan Study; Kurdistan Region Highway Master Plan; Erbil International Airport Master Plan; Annajaf Al-Ashraf International Airport Master Plan; Design of the American University of Iraq, Sulaimani; Dohuk International Airport; and Salahaddin University, Erbil – New Campus; to name a few.